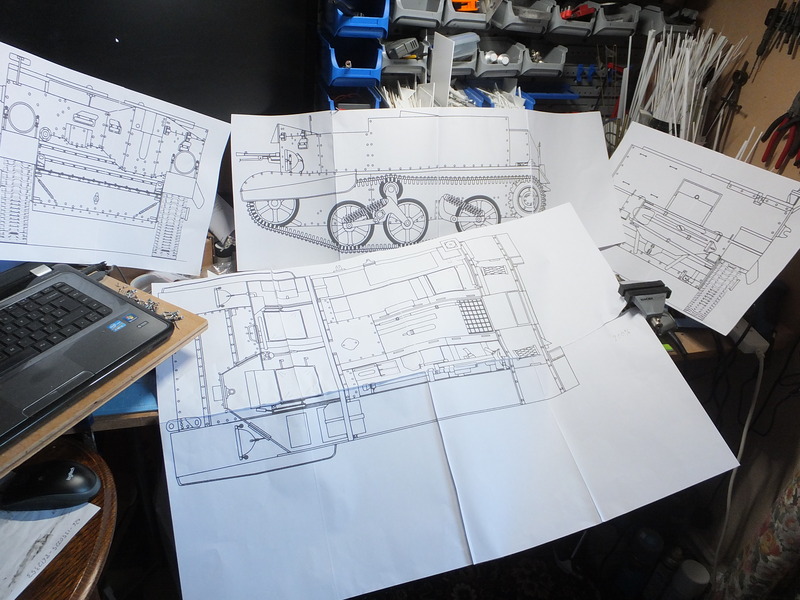 Hi, I am investigating how to do tracks for a 1/6 scale universal carrier, and jagdpanther tracks have the right profile but I'm not sure they are wide enough. Can someone with a jagdpanther please measure and let me know? The universal carrier has tracks that are 10 inches wide so 1/6 scale would be around 40mms. My Taigen steel ones are 41.8 mm . Call it 41 with paint & dirt ! AlwynTurner wrote: Hi, I am investigating how to do tracks for a 1/6 scale universal carrier, and jagdpanther tracks have the right profile but I'm not sure they are wide enough. Can someone with a jagdpanther please measure and let me know? Hope that helps forming a consensus, or average. One of these days, I'd love to build a Bren Carrier. My Dad, and his brother, both used then for recce sorties. As an incidental, my Uncle's Carrier also sported a 3in mortar (he was a Mortar instructor). Seeing your conversion, Mick, reminded me of one of my all-time favourite Tank-related websites: JimBob-Wan's to be precise. I'd recommend it for anyone new to the hobby, and maybe a few old hands who've forgotten what a treasure trove of articulate info it is. 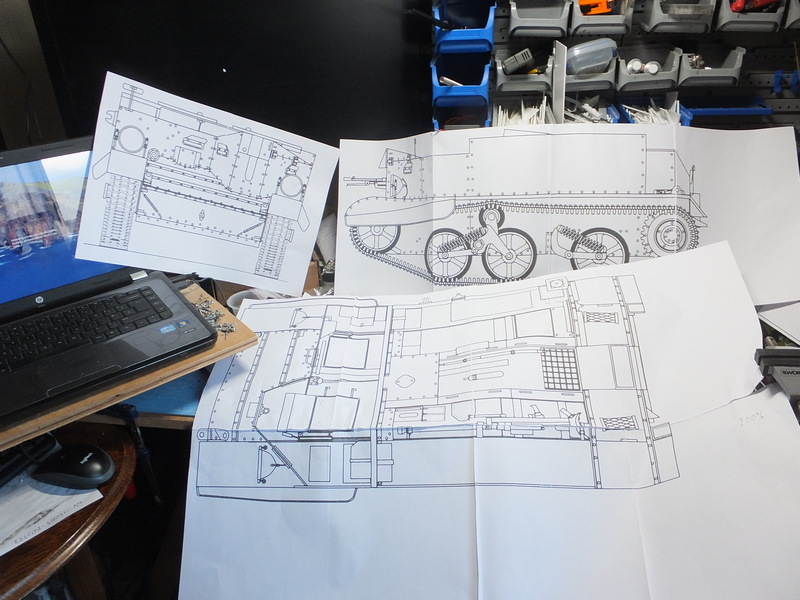 Alwyn, I'm still in awe of your 1/16 Universal Carrier scratch build from (blueprints). It was so good, it almost put me off scratch handiwork for life . (Inferiority complex ) In the end, though, it was what got me started. Thanks to everyone for the info and encouragement. Its not actuaĺly me whos building this but markylee, but having said that I'll probably have to build one to get the suspension component design right so heyho it should be fun. What worries me is the drive/propulsion/gearbox issues as a standard gearbox probably won't cut it both from power and scale speed point of view. I fancy the propulsion that was on the 1/6 hetzer but dont have enough knowledge of the components/method of construction etc. I'll probably need advice/support from those in the 1/6 arena.one thing's for sure, everything will need bearings. Anyway this will only get going properly when I get back from hols. If it works I may be selling suspension/wheel kits. Quite intimidating really. At least it will fit in a car boot! Maybe fill the back with fake stores so the motors etc go underneath? Yup that's how I did the 1/16 version. The 1/6 version won't need to lose so much space hopefully. I think the transmission used by 50koruny on his hetzer may provide a good approach on this build. How about printing the entire thing Alwyn? Thanks Wayne, it's very early days and this was all sparked by Markylee asking if I could do the suspension parts. I don't want to steal his project but must admit since building my 1/16 version I have been tempted by doing a 1/6 version. His suggestion of using jagdpanther tracks just sparked my interest and I really want to help him do his project first, and maybe follow up with my own later and perhaps sell a wheel/suspension kit to anyone interested. Of course all this will have to wait until after I've delivered the mk13 centurion and been on holiday. 43rdRecceReg wrote: Seeing your conversion, Mick, reminded me of one of my all-time favourite Tank-related websites: JimBob-Wan's to be precise. I'd recommend it for anyone new to the hobby, and maybe a few old hands who've forgotten what a treasure trove of articulate info it is. Jimbob-Wan's site is awesome. It has helped me solve a lot of issues with different things over the years.